She's a professional Tarot reader, a prolific author, a teacher and she will be joining us as a reader for the Tarot, Mystics and the Occult Exhibition reception on October 26th from 7 - 10 pm. Corrine is a substantial part of the Twin Cities metaphysical world. 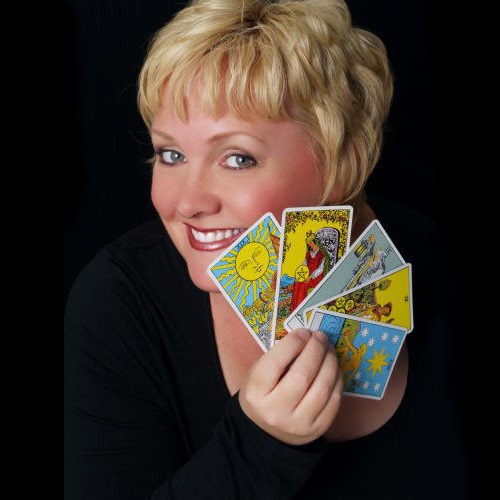 She's been praised as one of the best psychics in Minneapolis by Metro Magazine, and has authored over 12 books, a handful of fantastic looking Tarot decks and has had a part as a keynote speaker in many major Tarot conferences around the world. When I first spoke with Corrine, I was impressed by her calm and up-beat manner. She's incredibly enthusiastic about the subject of Tarot and as we got to talking about the upcoming exhibition, she was wonderfully supportive. If you get a chance to check out everything that she is up to, please do! Here is a link to her website. Please welcome her when you see her at our event! It should be fantastic! We're so happy to have her joining us! iTunes is likewise supported on Macintosh as well as Windows running system, itunesaccount.org To Get Instant Access web link below the "Download Now" box.